Ohio is expected to drop its requirement that vehicles display license plates on the front bumpers — a mandate that has been in place for more than a century. Eliminating the front plate rule, beginning July 1, 2020, was included in a compromise deal reached by lawmakers on Tuesday in the two-year state transportation budget bill. Ohio has required a front plate since 1908, except 1944-46 when Ohio wanted to conserve steel for the war effort. Owners of specialty and sports cars have lobbied for dropping the front plate for several years. Aside from taking away from the aesthetics, opponents argue that drilling into a front bumper to add a plate holder devalues a vehicle. Also, bumpers on new cars increasingly have embedded technology for assisted parking and driving. Until now, law enforcement groups have successfully pushed to keep the front plate mandate. License plate reader technology used by police agencies for more than a decade allows cruisers to automatically capture photos, time, date and GPS coordinates on thousands of cars in public view. The systems issue instantaneous alerts to stolen cars, outstanding warrants, Amber alerts or issues and investigators look back at photos to help solve crimes later. Civil liberties groups oppose the widespread use of LPR technology. Eliminating the requirement that motorists have a front vehicle plate could save Ohio roughly $1.4 million a year, according to analysis from the Legislative Service Commission. Local governments could lose between $120,000 and $240,000 a year in foregone revenue from tickets issued for failure to have a front plate, the LSC analysis said. 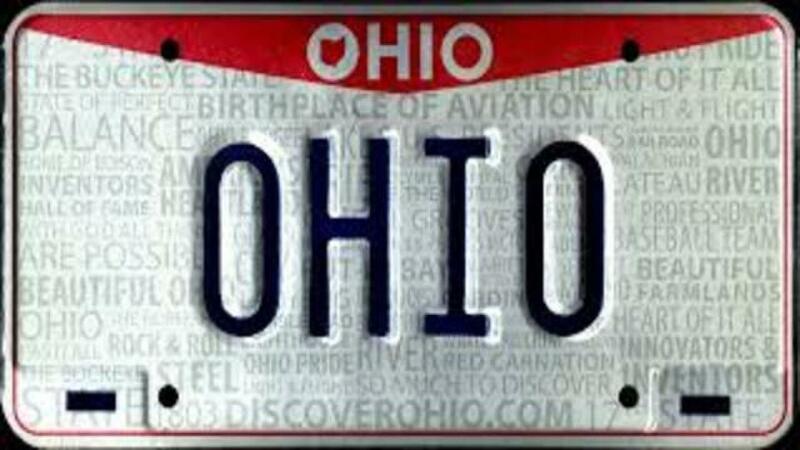 Ohio is one of 36 states that require a front license plate. None of the states that border Ohio has a front license plate requirement.